Here you will learn how to reset your Android battery algorithm. This task is fulfilled by clearing up the statistical information used by the charge / discharge algorithm inside your Android device to show you the nice battery stats icon and also to determine when your battery is in critical condition and your Android device needs to shutdown. If your Android battery data is corrupted (its charging / discharging times and voltages are badly sampled) then your visual battery indicator and battery usage behavior on your Android device will act based on it, and thus you may end with a lower battery life, as your Android may either determine that a full charge (or discharge!) is achieved “at any moment”. If your suspicions are high on such behavior then it is time to perform a reset of Android Battery data. 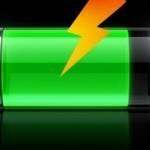 Be warned that this method will not fix the actual juice in an old or bad battery: It will only reset the statistical data that Android got on it’s usage. First step is to type “su” and hit Enter to gain SuperUser permissions. If you don’t have your Android device rooted, then this first command will fail. On the other hand, if you got it rooted, then it will ask for confirmation on the superuser access request: Confirm it. Second step is the rm command (remove) which will delete or remove the file located at /data/system named batterystats.bin, thus effectively resetting your Android battery data.